You can get some amazing Black Friday flight deals using some secret tricks and tips not normally known by the public. These can get your deals like direct return flights from the UK to Orlando for 215 GBP, or to Cancun in Mexico for 249 GBP. The trick is in knowing both where to look and also how. See below for three key ways to get yourself a flight bargain this Black Friday weekend. Air New Zealand is holding a fantastic Black Friday sale with 100 tickets to Los Angeles on offer for 175 GBP return and some secret deals available on the day. Last year visitors were offered flights to New Zealand for 399 GBP return. See their Black Friday page here. The sale begins at 10am and these flights go extremely quickly! A couple of tricks are to pre-select your exact travel dates before the sale starts, and to book the flight using the Fare Hold option. This costs 25 GBP but the advantage is that you don't have to complete your passenger details or select your seats until later. This is substantially quicker than completing your booking straight away. Norwegian, an airline with already very cheap prices, is offering a 15% discount on all long-haul flights from Gatwick to both Asia and North, Central and South America. Their sale starts at just after midnight on Friday morning and runs till midnight end of Monday. Some date exclusions apply and you must travel before April 2019. Use the campaign code is EVERYROUTE18 when booking to get the discount. 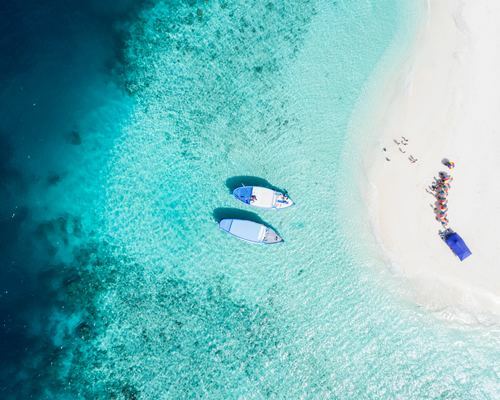 Most people have heard of the flight search engines Google Flights, Skyscanner and Momondo, but few know of their “cheapest flight” map searches. These allow you to find the cheapest flights to anywhere in the world if your dates are flexible. For Google Flights you can do a “Continent Search” to find the cheapest flights this weekend. Enter your departure city and then the continent or region you want to go to e.g. “North America”. Leave the dates as they are and then click “search”. On the next page you will be shown a map with multiple destinations and different prices. At the top of the page click on the first date and change the setting from “Specific dates” to “Flexible dates”. You can also choose which month you want to fly and how long for. Click search again and you will see the cheapest deals for your selection. See here for an example link for North America. The flight search engines Skyscanner and Momondo both have similar map searches. Move around the map to bring up prices to different destinations around the world. Flight deal newsletters do all the hard work for you scouring the internet and search engines for the best deals, which they then email direct to your inbox. Hacked Flights also have a Black Friday Sale on their premium membership which provides all the top deals found all year round, including error or mistake fares which can save you hundreds of pounds. Here’s hoping you’re able to score yourself a bargain this weekend! This press release was distributed by ResponseSource Press Release Wire on behalf of Hacked Flights in the following categories: Men's Interest, Women's Interest & Beauty, Travel, for more information visit https://pressreleasewire.responsesource.com/about.